In the beginning, I’ll likely have some posts that longtime readers will recognize but I also plan on mixing in new material as well. As with all these social ventures, it’ll be an experiment to see how much I like the platform and how well it fits in with my wants. I also took the opportunity to update an old sketch a friend of mine made. It is still rough and purposely so but it’s nice to have it a bit more polished. I left a lot of his sketch lines in play and just went through did some coloring via Photoshop. So, please check out my IG (as the kids say) and follow me for a bit there as well. I don’t claim Stark as “my” faction so I really don’t take notice of their new stuff but that is another Direwolf and I kind of need to pokemon those guys. I want to build an army with all of them (that are left alive) so this set is one I’m already looking forward to. 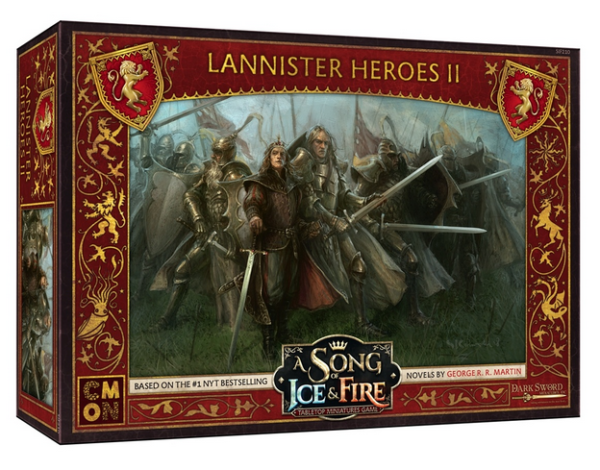 I do claim Lannisters as a faction if for no other reason beyond my affinity for playing “red” in games. 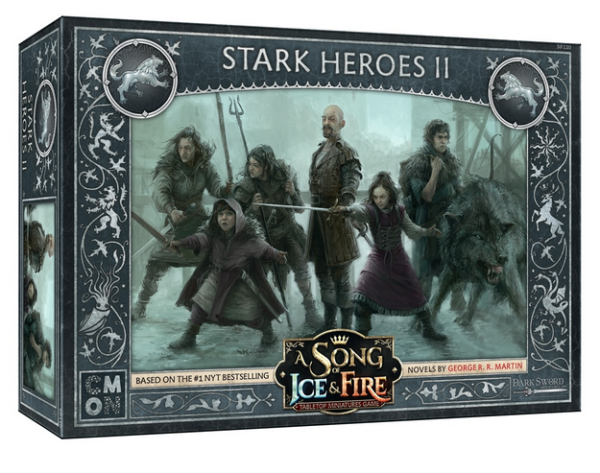 This set is also interesting in that it has that brat Joffrey (which might be good to play just to watch him die) but also all seven Kingsguard. 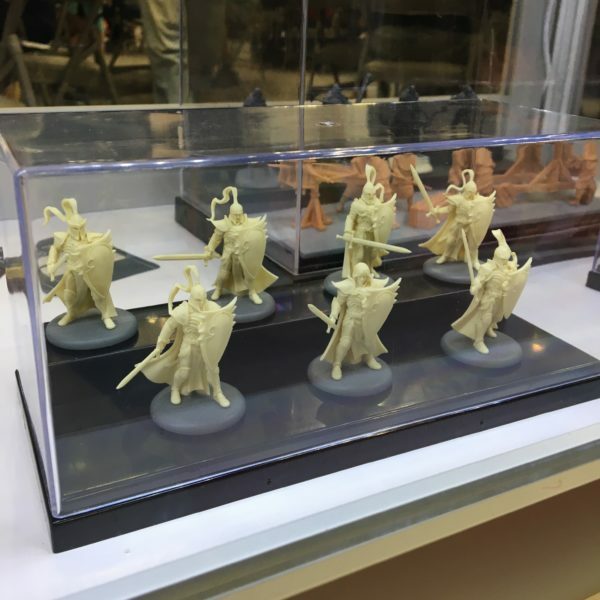 If we remember back to last Gen Con, CMON had the sculpts for the Seven on display. It will be very interesting to see how they incorporate them into play and I’m excited to see more info on them. It’d be nice to see them in this neutral white-colored plastic as well.